Thank you to everyone who attended the grand unveiling of our Times Square headquarters! 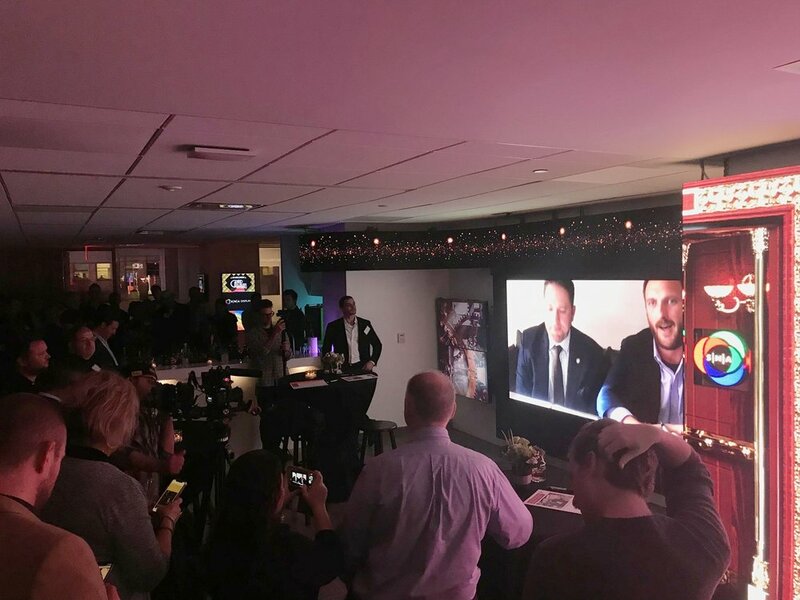 It was a thrill to celebrate New York Digital Signage Week in our beautiful new space, and we were very proud to be able to share our state-of-the-art LED showroom with you. We enjoyed some fantastic food, plenty to wash it down, a live chat with company leadership on our showroom main screen, a few big prize drawings, and lots of fun and yuks! Big thanks also to Fusion CIS, Javier Rodriguez, and David Burke for all your help making the evening a success. If you couldn’t make it, or just want to reminisce, here are some photos of the big night! We hope to host more events like this in the future and not to worry, you’re always on our guest list!